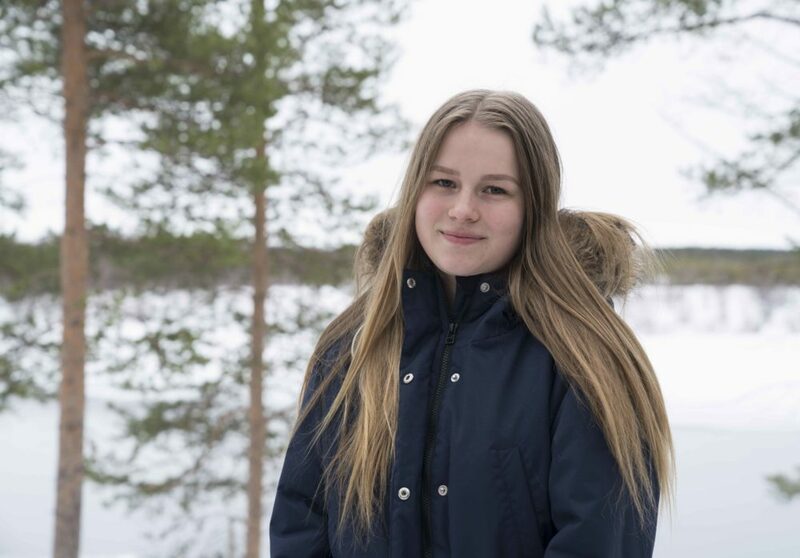 Runa lives with her family in Melkefoss in Pasvik Valley, and goes to school in Skogfoss. Her greatest passion of all is horses. When she told her educational tutor at school that she wanted to work with horses as a grown-up, she was told that she can’t expect to follow her dreams. But Runa is a young person who refuses to give up on her dreams, and her family encourages her to go on pursuing them. If she has her eye set on something, she will work hard to achieve it. Her plan is to move south to be able to pursue this dream by going to the appropriate school that can offer the right education. She loves the north, and likes her Pasvik Valley, but thinks there are too few horses there. Runa is the daughter of Trine Danielsen Beddari who runs Birk Husky, a person who also follows her dreams through hard work. For Runa, living right by the border to Russia is not so strange. She has rather bigger issues with crossing the border to adulthood. In this short documentary, we meet Runa from Pasvik in Norway and Anna from Nikel in Russia. They share their thoughts and invite us into their worlds, on each side of the border. And it seems that they have a lot in common – as teenagers – although they live in different countries.